Zachary Baumel was one of three Israeli soldiers whose remains were never found in the aftermath of the Battle of Sultan Yacoub between Israel and Syria in Lebanon’s Bekaa Valley. 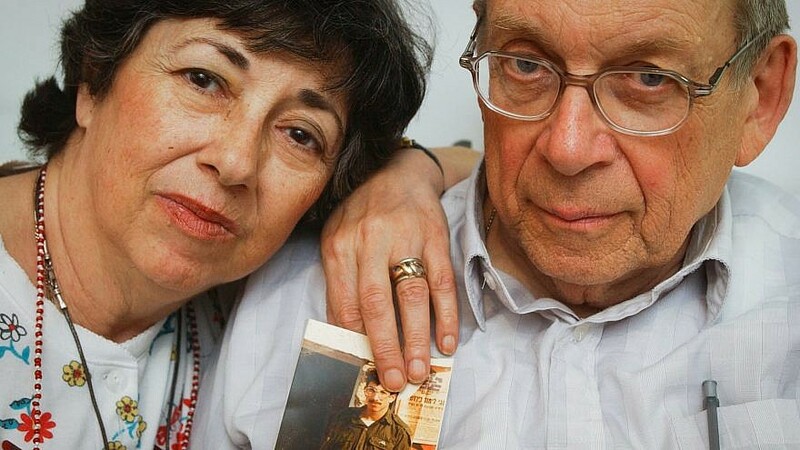 Miriam and Yoni Baumel hold a picture of their son, Zachary Baumel, who went missing in the Battle of Sultan Yacoub in 1982, in Jerusalem on July 7, 2003. Photo by Flash90. (April 3, 2019 / JNS) The body of an Israeli soldier killed in Lebanon War has been returned to Israel 37 years later, announced the Israel Defense Forces on Wednesday. Sgt. First Class Zachary Baumel was one of three Israeli soldiers whose remains were never found in the aftermath of the Battle of Sultan Yacoub between Israel and Syria in Lebanon’s Bekaa Valley during the First Lebanon War in 1982 in which 21 Israeli soldiers were killed and 30 more were injured. His remains were flown back on an El Al airplane, IDF spokesperson Lt. Col. Jonathan Conricus told reporters. “His body is in Israel. The body has been identified. It has been verified,” said Conricus. “The IDF has undertaken significant intelligence and operational efforts to find the remains and bring them back,” Conricus said. “Our efforts to locate the other missing-in-action soldiers continue,” he added. The body was identified at the Institute of Forensic Medicine and by the IDF’s chief rabbi. Conricus said that Baumel’s family has been informed of the development. While it was not confirmed by Israeli officials, it is widely believe that Russia was involved in helping Israel search for the remains of missing soldiers in Syria. Baumel’s body will be buried in the coming days.